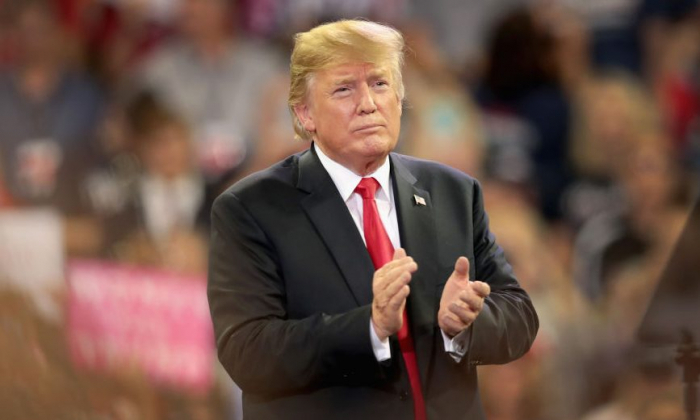 North Korea returned the remains of 200 American troops who went missing during the 1950–1953 Korean War, President Donald Trump said during a rally on June 20. “We got back our great fallen heroes, the remains sent back today, already 200 got sent back,” Trump told a crowd of supporters during a rally in Duluth, Minnesota. A day earlier, American officials told Reuters that in the coming days, North Korea would be handing over a “sizeable number” of remains to the U.N. Command in South Korea that would then be transferred to Hickam Air Force Base in Hawaii. More than 35,000 Americans died on the Korean Peninsula and 7,702 are still missing in action, according to the Defense POW/MIA Accounting Agency. Of those, an estimated 5,300 are believed to be in North Korea. North Korean officials have indicated in the past that they have the remains of as many as 200 U.S. troops, the Pentagon said. In total, more than 36,500 U.S. troops died in the conflict. The move comes after Trump met with North Korean leader Kim Jong Un at a historic summit on June 12 in Singapore. The president said at a news conference afterward that Kim had agreed to return the remains. Trump’s remarks about the remains on June 20 were part of a broader description of progress made in North Korea. “They stopped shooting missiles over Japan. They stopped all nuclear testing. They stopped nuclear research. They stopped rocketry. They stopped everything that you’d want them to stop. And they blew up sites where they test and do the testing,” the president said. Keith Harman, the head of Veterans of Foreign Wars, thanked Trump in a June 6 letter for bringing up the issue on behalf of the American families who have been waiting for closure. “The VFW salutes President Trump for bringing this issue to the table, and we thank the North Korean leader for agreeing to it. Now the hard work to bring the initiative to fruition begins,” Harman said. The United States led a group of 16 nations in fighting alongside South Korea against North Korea, China, and the Soviet Union. The bloody conflict resulted in the deaths of nearly a million soldiers and hundreds of thousands of civilians.